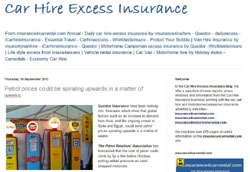 Summary Details: insurance4carrental.com is pleased to announce that Protect your bubble car hire excess insurance has been added to list of car hire excess insurance advertisers. The car hire insurance promotional site insurance4carrental.com is now promoting Protectyourbubble.com products. 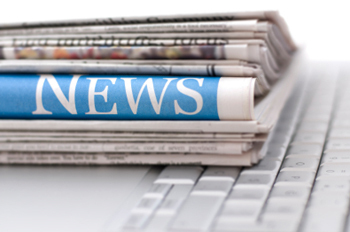 This means there is an even greater choice with Seven major providers advertising their car hire excess insurance products, one provider advertising motorhome / campervan hire excess insurance and one provider marketing their van hire excess insurance. 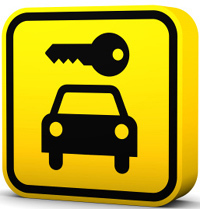 Protect you bubble's Car Hire Insurance is available to anyone renting a car with a value less than $80,000, who is aged 21 - 84 and has an internationally recognised full driving licence. If you live in the UK or Ireland cover in your home country is included and we have an option to allow rentals that start close to your home. 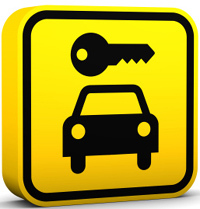 A Daily policy insuring a single car rental agreement up to 180 days in length or; An Annual policy insuring unlimited car rental agreements in the year up to 31 days per rental. With Protect your bubble Car Hire Insurance, for as little as £2.37 a day or £38.09 a year you can cover the excess on the car rental agreement up to £2,000 in any one claim or £3,000 in total each car rental agreement. 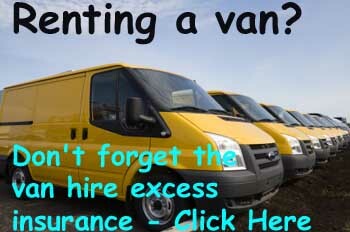 insurance4carrental now offers a great selection of insurance companies advertising their car hire excess insurance. Apart from Protect your bubble there are insurance4carhire.com, dailyexcess.com, Questor Insurance, Essential Travel, Odyssey and iCarhireinsurance.